As the Green Movement continues to grow in popularity in both the residential and commercial marketplace, the question of what green cleaning products to use is always in question. Of course there has been a standard established by the cleaning chemical manufacturers themselves but third-party certification organizations have been founded and are the foundation of what the green cleaning industry considers green and what is not green. The Green Movement is still a relatively young concept and it continues to develop as a work in progress about what is acceptable as green. However a major issue regarding the question of what constitutes a green floor finish (wax) has been one with some controversy. Third party Green Certification Organizations believe that the trace elements of zinc in the formulation of floor finish is a pollutant to the water system. Now we can argue in defense for both sides but the purpose of this article is to explain to our readers the facts of Zinc and Zinc Free floor finishes and allow our readers to make an intelligent decision on which product best meets their facilities or residential needs. With that being stated, we will cover some basic understanding and misunderstanding about zinc used in floor finishes. Once reviewed our readers can determine which is best for their floors; Zinc or Zinc Free floor finishes (wax). The water and waste reduction, etc. So understanding the above points will allow our readers to ask the question; if you will use more water and energy because you to have to strip a zinc free floor finish more often than a floor finish that uses zinc in the formulation of the floor finish, which is the more green approach to floor cleaning? Zinc or Zinc Free Floor Finishes? The following are general misunderstanding about zinc that is used in floor finishes including the amount used and also covers the reasons why zinc is used in the formulation of floor finishes (wax). Zinc makes the floor finish more durable and detergent scrubbable through the chemical process commonly referred to as Cross-Linking. This means the floor finish can be scrubbed with a floor cleaning detergent and it will not harm, remove or strip the floor finish which reduces maintenance labor cost while reducing water and energy consumption. Zinc acts as a preservative keeping the floor finish stable with a longer shelf life. Zinc allows for the easy removal when the floor finish requires to be stripped and refinished. Zinc will not discolor the floor finish. Zinc used in a floor finish is a metal salt and used in trace amounts. Amounts so small that it is less than 0.1% of the total amount of zinc that is discharged in municipal waste water in the US. Zinc is nutrient that is essential element critical for life on Earth including human beings. The World Health Organization (WHO) has indicated that the majority of the zinc that ends up in the waterways comes from natural erosion from rock, stone and minerals containing zinc. The Federal EPA regulates zinc discharges in wastewater systems. Certain local municipalities have mandated that no zinc is allowed in their wastewater system. So any amount of zinc in a floor finish is not allowed. Zinc is considered a heavy metal that can cause adverse effects to aquatic life including both aquatic animal and plant life. At the present time and generally speaking, the simple fact is that a floor finish employing zinc as it’s Cross-Linking agent is a more durable floor finish than a zinc free floor finish. However that is not to say that all zinc free floor finishes are the same. They are not and certain formulations of zinc free finishes are better than others zinc free coatings. In fact there are a few zinc free floor finishes that are actually better than some zinc floor finishes. So, if the following is critical to your floor maintenance program than zinc free finish is an excellent decision. If local or State regulations prohibits zinc from being discharged in their wastewater treatment plants. 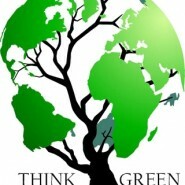 If you have made a decision to go 100% green regarding your total cleaning maintenance program. If your facility’s foot traffic is at a level that will allow a zinc free floor finish to perform well from a durability standpoint. Not every facility requires the most durable floor finish because the facility’s foot traffic is not heavy enough to demand it.